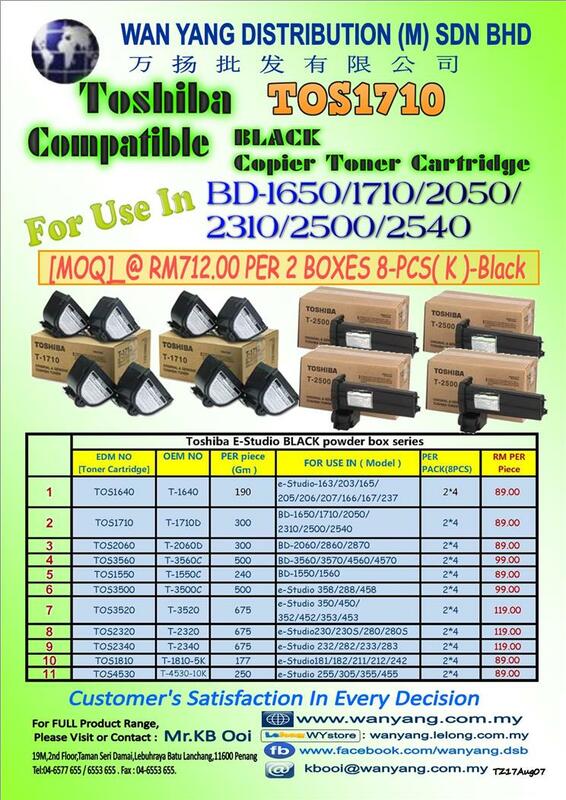 TOSHIBA TOS1710 COMPATIBLE BLACK COPIER TONER CARTRIDGES. SELLING @RM712.00 PER 8 PCS. [MOQ].